You can stay with us in a beautiful vila with beautiful views over Nerja, the coast and the Mountains. Nerja and Frigiliana can be reached by car in 5 minutes. 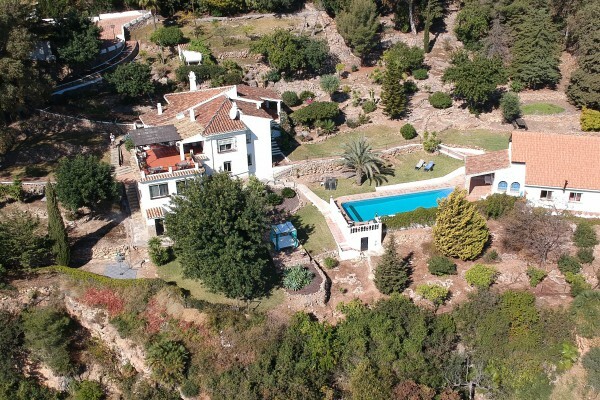 Malaga and the international airport 45 minutes drive. Our Bed & Breakfast consists of 3 guest-Suites for 2 persons, all with ensuite bathroom and a large Gardenvilla, very suitable to 5 persons. There are several terraces with stunning views and in the garden is a spacious swimming pool with sun loungers and parasols. We, Hans and Karen, are a Dutch couple that made our dream true in beautiful Andalusia. We will do everything possible to make your stay most enjoyable. Did you stay in Villa Morera Bed & Breakfast? Let us know what you thought about it and help others to make the right choice! * I confirm having stayed in Villa Morera Bed & Breakfast. 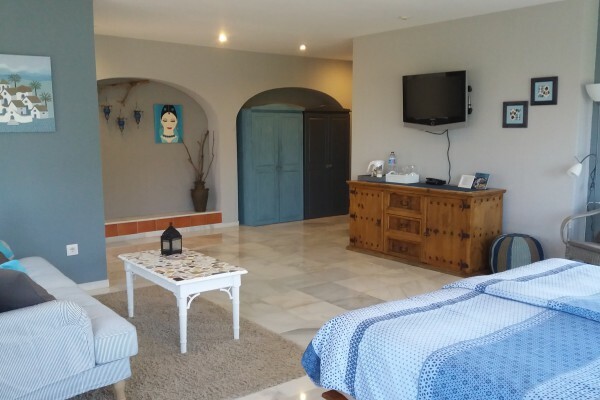 Find other bed & breakfasts in Nerja, all bed & breakfasts in Málaga or all bed & breakfasts in Andalusia.